Ron Shields and Dennis Cheeseman got some distant shots. 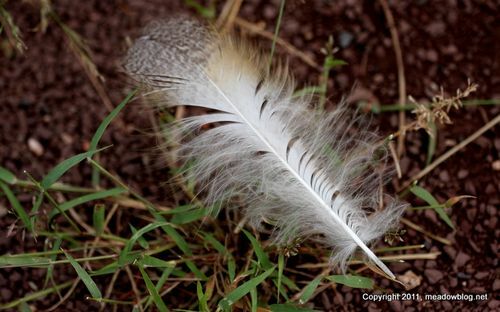 One of Dennis' shots is above. 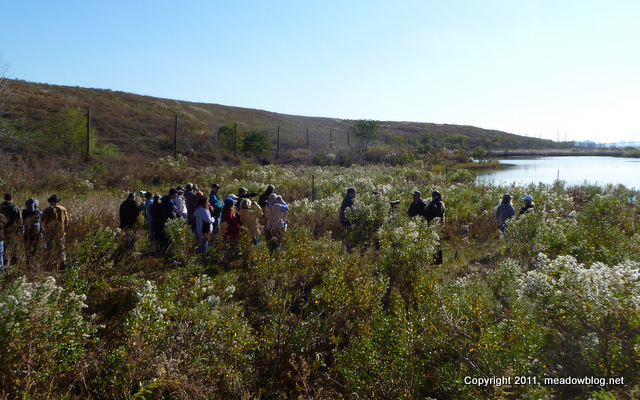 The New Jersey Meadowlands Commission's next free guided walk with the Bergen County Audubon Society is next Tuesday at 10 a.m. at Mill Creek Marsh in Secaucus. 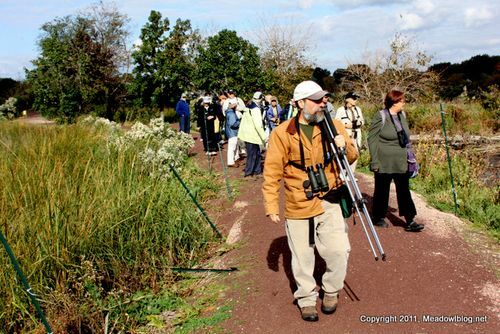 Click here to see the list of birds seen at last montrh's Mill Creek walk. We have been hearing second-hand reports of 3 Western Grebes in DeKorte last weekend. We looked Monday but saw none. If you see any, holler! (And take a photo.) This would be really rare. Note: Ron Shields did see an Eastern Bluebird perched on a sapling on a Disposal Road former landfill over the weekend. Will post pix tomorrow. 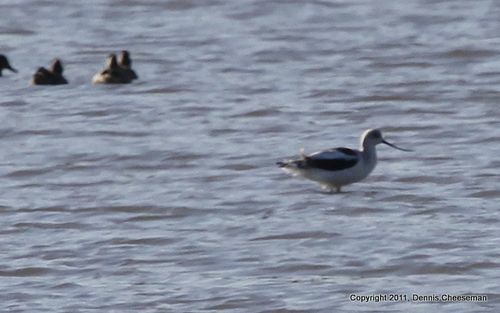 Avocet Is Back at Harrier Meadow! NJMC Naturalist Mike Newhouse reports seeing an American Avocet this morning in the second tidal impoundment at Harrier Meadow in North Arlington– a bit more distant than the one earlier this fall. Harrier Meadow is closed to the public but NJMC staffer Jim Wright hopes to look for the bird during his lunch hour if anyone really needs to see this bird. No guarantee it will still be around. Contact Jim at jim.wright (a) njmeadowlands.gov. Here's the full list of species seen on Sunday's two-hour Harrier Meadow walk sponsored by Bergen County Audubon Society and the N.J. Meadowlands Commission. Highlights included seven duck species, six raptor species (including great looks at multiple Bald Eagles), and a few Eastern Meadowlarks. Thanks to all who participated!